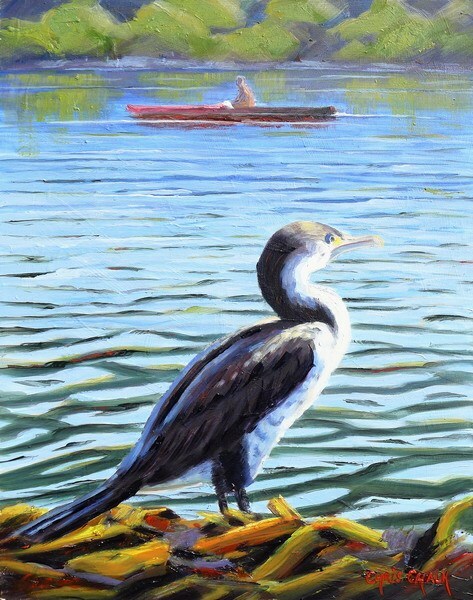 Painted on my recent adventures in New Zealand, a lovely scene capturing a moment shared between the NZ Shag and the passing canoeist. Painted as for the 'Sea and Sounds' exhibition, I'm still not sure who's watching who. Oil on MDF board 16" by 11"